Colombo’s premier coffee solutions provider and the go-to-place for all coffee related needs, the Colombo Coffee Company (CCC) will once again partner with the Hotel Show Colombo 2018 organised by the Ceylon Hotel Schools Graduate Association (CHSGA) as the Gold Sponsor and ‘Official Coffee Solutions Provider’ of the National Barista Championship 2018 for the fifth consecutive year. Further the partnership with the competition, CCC has signed agreements with the organisers for the next five years as well to ensure the carrying out of the much-awaited National Barista Championship. The Hotel Show and NBC 2108 will be held from 20 to 22 July at BMICH. As the flag carrier of the world-renowned “Lavazza” brand in Sri Lanka, CCC has been recognised as being instrumental in the revival of the coffee industry in the country. 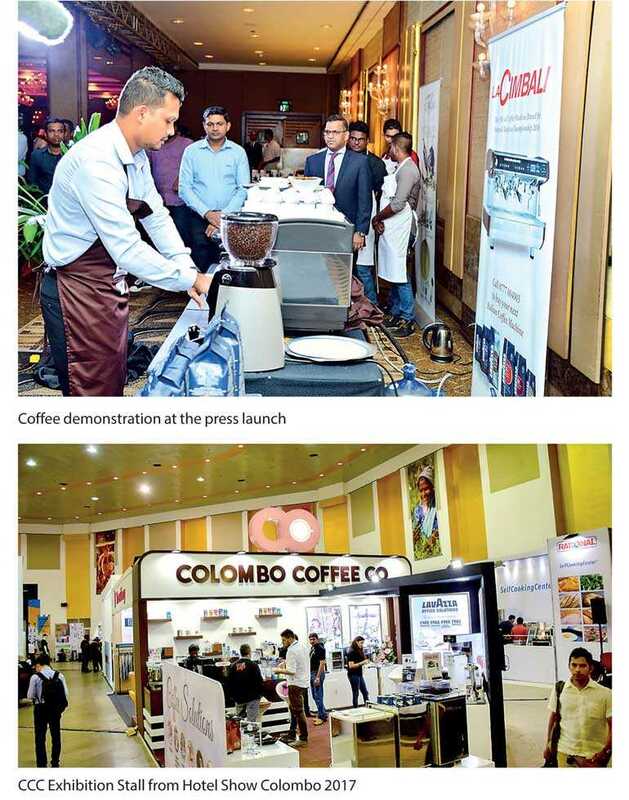 The introduction of the Sri Lanka National Barista Championship which happens simultaneously to the Hotel Show was one of the first pioneering ventures carried out by CCC. The competition sees the most-talented baristas from hotels, restaurants and coffee houses battle it out creating signature coffee-based drinks in order to crown the Top Barista in the country. CCC has selected Lavazza as the Official Coffee Brand and La Cimbali Professional Espresso Machines as the Official Coffee Machine Brand for the competition. Participants therefore will be using one of the best brands of coffee and an advanced coffee machine to prepare their signature drinks. This year too CCC will be flying down foreign judges and providing free coffee for young baristas to train and compete. The 2018 competition is larger than ever with six regional rounds and 200 participants competing in preliminary rounds spanning the entire island. This is the first time the competition will also see participation from outside of Colombo at a regional level. The winners will be sent to Singapore to take part in the “Asian Barista Championships” which brings together coffee enthusiasts and mixologists from the Asian continent. The 5th consecutive Sri Lankan National Barista Championship will be on 20 July at BMICH and CCC invites café owners, coffee enthusiasts and the general public to come witness this grand event.